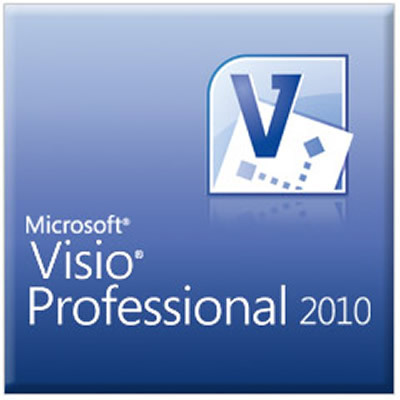 Microsoft Visio Professional 2010 provides you with the most intuitive, dynamic and smart visualization tools to take diagramming to a bold new level, and advance sharing to a more real-time and interactive experience. Microsoft Visio Professional 2010 takes diagramming to a bold new level with dynamic, data-driven visualization tools and templates, and advanced sharing through the Web. Bring the big-picture and real-time data from multiple sources, including Excel, Microsoft SQL Server, and SharePoint lists, together in one powerful diagram. Then see real-time changes to data right within your diagram, displayed through vibrant graphics such as icons, colors and data bars. Using SharePoint integration, you can now easily share your diagrams in real time with anyone, even those who don't own Visio. Transform complex ideas into "aha!" moments and get everyone on the same page with less time and effort. Create clear and attractive diagrams in minutes, with a diverse set of modern, pre-drawn shapes, pictures and templates, with an intuitive navigation and with new automatic drawing tools. Bring your diagrams and scattered islands of data together in one dynamic, data-driven picture. This product includes all the features of Visio Standard 2010, plus more! Draw diagrams faster with improved automatic features. Simplify large and complex diagrams. Make your diagrams professional-looking and appealing in seconds. Bring your diagrams to life with real-time data. Share diagrams with others on the Web. Ensure consistency and accuracy with diagram validation. Model and monitor SharePoint workflows. With modern, pre-drawn shapes, intelligent templates, and sample drawings, Visio 2010 offers a wide variety of options to meet your diagramming needs for IT, business, process management, and more.